Disneyland Paris has some incredible dining that you will not want to pass up. Some of the themes are so beautiful and immersive. Many of the best places are complete table service restaurants. Some are even buffets. 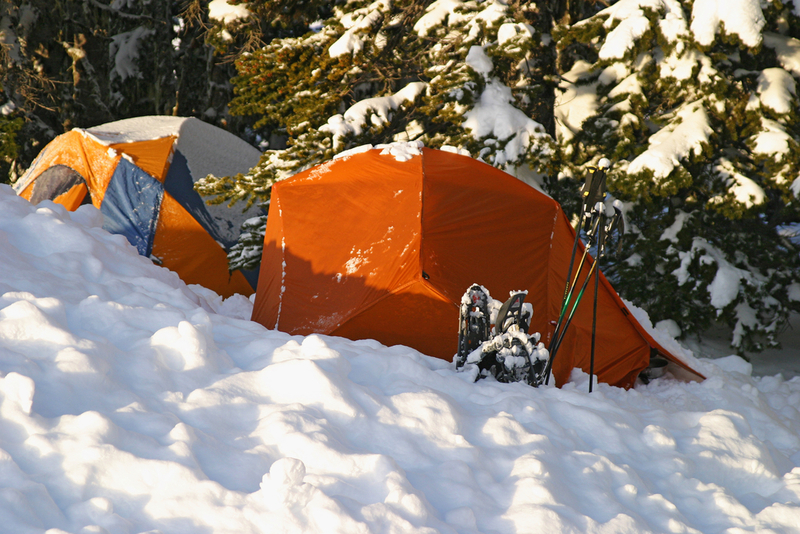 However, if you stay for any length of time and you don’t have the budget for meal after meal try snacks. 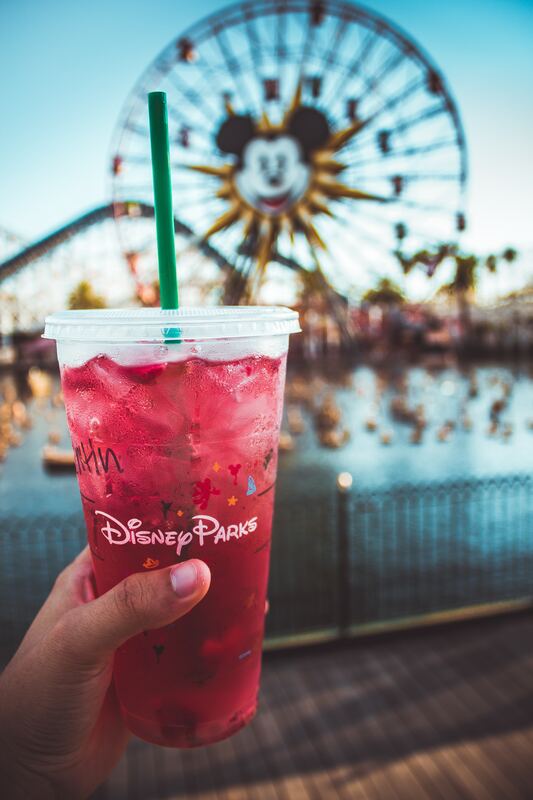 Disney Parks are known for their incredible snacks and Disneyland Paris snacks are no exception. There is a huge variety and there are no wrong answers, but these five snacks top our list of favourites. 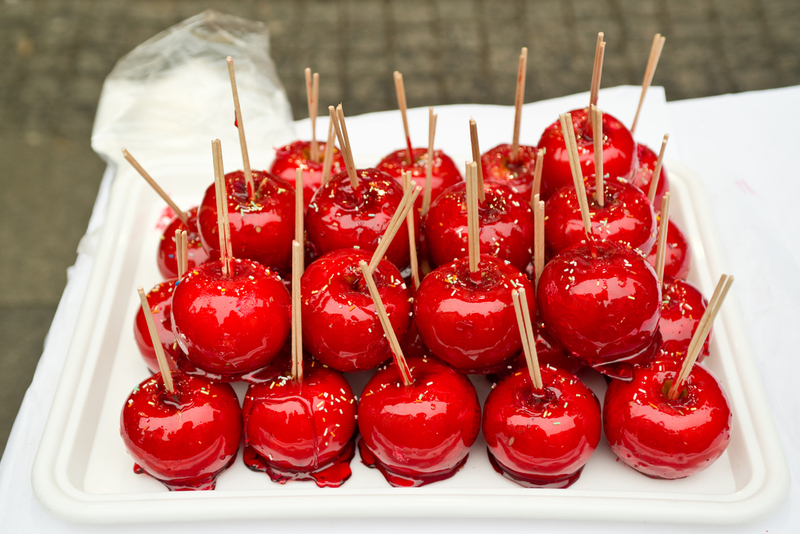 The candy apples at Disneyland Paris are some of the most popular snacks you will find. They are everywhere and so tempting. By the end of the day, you will most definitely have one. While candy apples at other Disney Parks can come fully loaded and a little over the top, the Disneyland Paris candy apples like to keep it simple and true to the snack’s initial appeal. These baked rolls are really good. They are shaped like Mickey, which is important. How it tastes is also a factor, but you should make it a goal at Disneyland Paris to at least eat one mickey shaped treat every day. 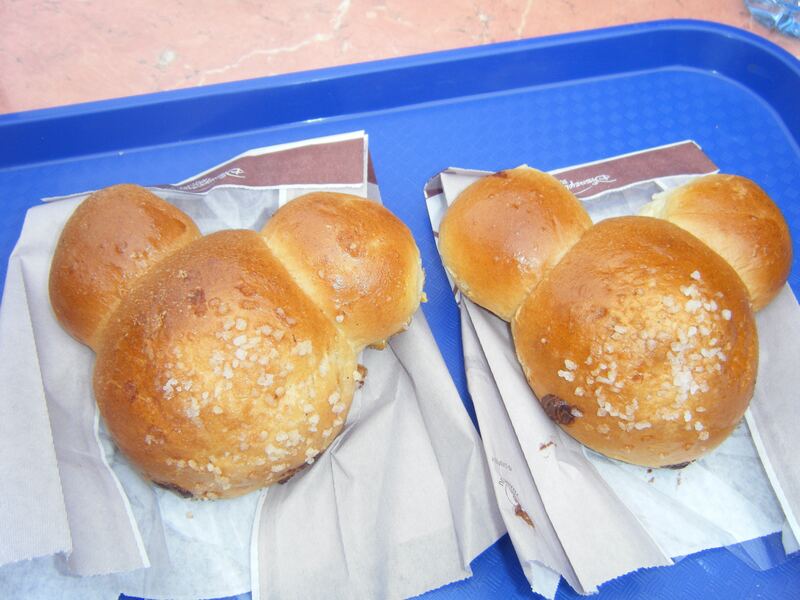 These tasty buns filled with Nutella are also found in many places around the park, so be sure to stop and have one sometime during your day. 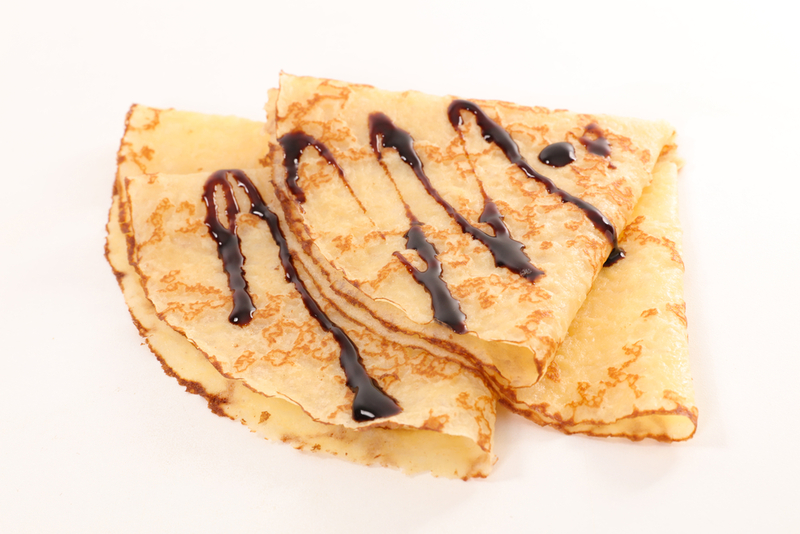 Another delicious Nutella filled treat is the crepe you can get from the carts in Fantasyland and Discoveryland. It’s also found at carts in Walt Disney Studios Park. If you don’t want the Nutella, these Disneyland Paris snacks also come with just sugar. Either way you can’t really go wrong. These delicious treats are so popular, you will find them popping up in restaurants at the resorts as well. For example, Sequoia Lodge has them at Hunter’s Grill. 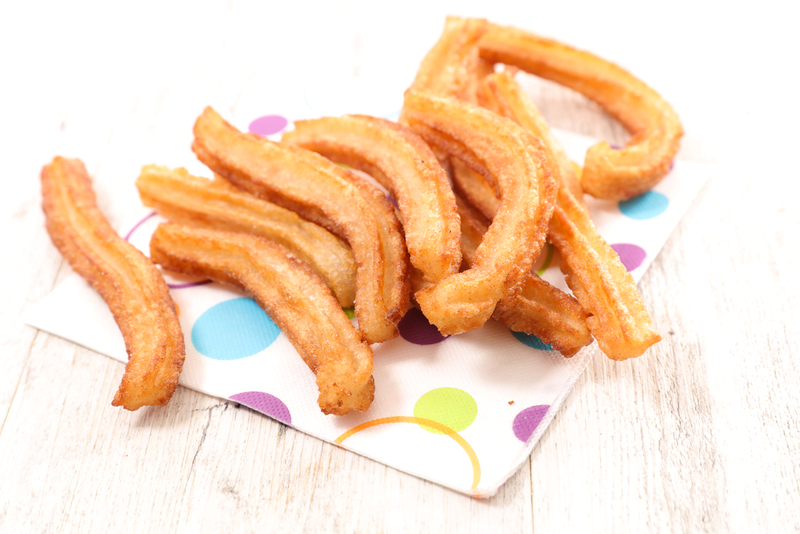 At Disney Parks the world over, there are few snacks more famous than the churro. If you go to Adventureland you can order a bag of cinnamon sugary churros at Fuente Del Oro. This Mexican counter service restaurant is full of vibrant cultural flare that mirrors the world of Pixar’s Coco. The churros there are a go-to item and a great value for Disneyland Paris snacks. French Fries are possibly the most prominent snack in Disneyland Paris, and yet many people aren’t even aware that they can order them as a snack. While they come as a side to almost everything, you also have the option to simply order the fries on their own. Sometimes, that’s all you really want. It’s worthwhile to note that it works the other way as well. If you don’t want the fries, you can get your entree without them and save a little bit of money for one of these other Disneyland Paris snacks. 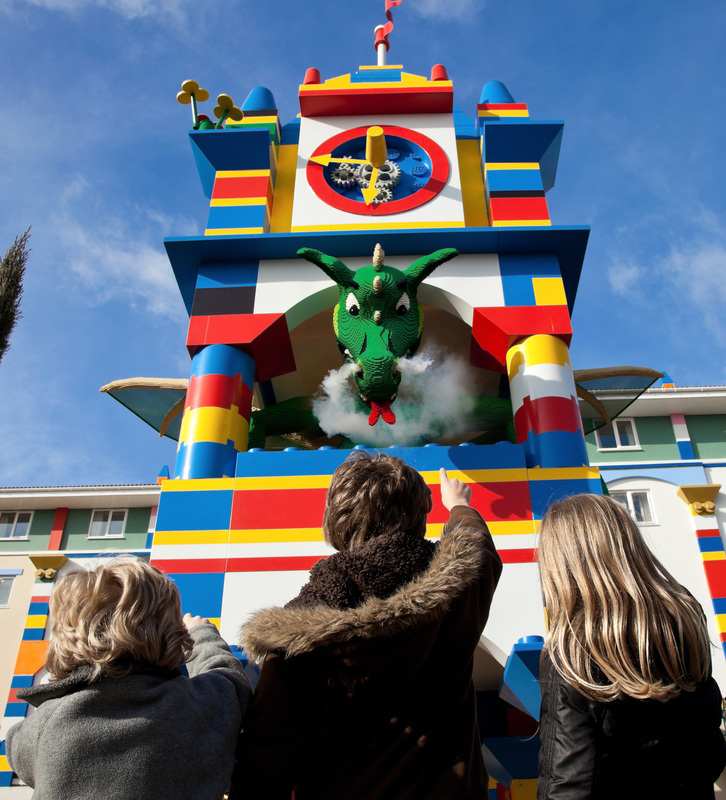 These are five of our favourites, but there are a lot of sweet treats out there that we love as well, not to mention all the candy you can pick out at the Candy Palace. What are your favourite Disneyland Paris Snacks. Share them in the comments below and let us know how these treats rank on your favourites list.